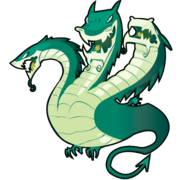 THC Hydra is a password cracking tool that can perform very fast dictionary attacks against more than fifty protocols including rdp and newsgroups. It is a fast and stable Network Login Hacking Tool which uses dictionary or brute-force attacks to try various password and login combinations against a login page. I've compiled only the command line version, if you need a GUI try Xyl2k's Hydra-GUI. Lets see if it cracks newsgroups. Want to Sleep with Your Mom.. can you guide me? Thanks for this share, but where is the tuto ?